What a week! Beginning with MYEFO, last week reached a crescendo at the virtually simultaneous announcements in relation to Commissioner D'Ascenzo's resignation, the end of the Business Tax Working Group company tax rate cut reform process and release of the Trusts taxation rewrite Policy Options Paper. MYEFO brought little joy or surprise for most. Tinkering with company tax instalment payments made the biggest news. However, hiding underneath were multiple changes that will also affect members, such as the denial of a concessional FBT treatment for in-house benefits acquired via salary-sacrifice, and legislative changes to alter the treatment of superannuation pensions paid after death. The ATO also got a $390 million boost in funding over the forward estimates period for compliance initiatives. What does the future look like for the tax profession in Australia and internationally? As a tax professional how will you be seen? We invite you to join us over drinks and canapés for an evening of discovery and to learn what the Chartered Tax Adviser designation means for you. Let us help you make an informed decision about the future of the tax profession and your role in it. Are you an experienced tax professional with many years’ experience? Or a student, recent graduate or new entrant to the profession? Whatever your background, as a tax professional you need to look towards the future and discover what becoming a Chartered Tax Adviser means for you, your business and your career. As the first major lodgment deadline of Tax Time 2012 (31 October 2012) looms overhead, The Tax Institute is pleased to see there have been relatively few concerns arising during Tax Time 2012 so far. The main issues which have arisen have concerned issues such as identity fraud (which both the profession and ATO continue to combat), rather than the types of issues which arose in Tax Time 2011 (such as delayed refunds for taxpayers). We hope that the smooth running of Tax Time 2012 so far bodes well for the next few months over which many tax agents will remain busily assisting their clients to comply with their tax obligations and lodge their tax returns. In this regard, we hope members are too finding Tax Time 2012 to be a much better tax return season than the previous year. Of course, Members experiencing issues during Tax Time 2012 should contact us at Tax Policy to report their concerns. If you have not already received your membership renewal pack, it will be with you in the coming weeks. With the launch of the Chartered Tax Adviser designation, these packs include a complimentary certificate (and frame, if purchased), membership card and decal for Chartered Tax Adviser, Fellow and Associate members. Affiliate members receive the complimentary membership card, and all packs include important information on our products and CPD. Logos can be downloaded from our website with your postnominals are available for Chartered Tax Adviser, Fellow and Associate members as a complimentary marketing tool. They can be incorporated into your larger suite of business marketing, such as business cards, letterhead, website, and other marketing collateral. This article discusses how to use LinkedIn to build your professional profile and enhance your network. LinkedIn shows any mutual connections that you have with someone, which is a valuable tool for building beyond your first-degree network. Begin by connecting with your direct contacts by uploading information from your email accounts. You can then browse the connections of those in your network for new relevant contacts. There are thousands of groups on LinkedIn where professionals "meet" to discuss the latest happenings in their industry or things they are interested in. Joining in the conversation is a great opportunity for you to build your visibility and position yourself as a thought leader. You could even choose to start a group around something you have a professional interest in — this automatically positions you as a leader on that topic. 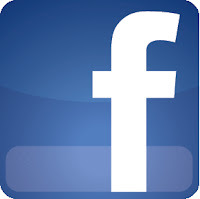 Share relevant content and start pertinent discussions and member activity will follow. I want to reflect on one of the most important of the ongoing consultation forums with the ATO, the National Tax Liaison Group (NTLG). The importance of the NTLG cannot be underestimated. The ATO is represented at the very highest level by the Commissioner, Second Commissioners, Chief Tax Counsel and other very senior officers as called on from time to time to explain issues about the administration of the tax system. The Tax Institute is represented by the President, Vice-President and Senior Tax Counsel. That representation demonstrates our commitment. Last week, The Tax Institute wrote to the Assistant Treasurer, The Hon David Bradbury MP to set out our view on the ethical framework that should apply to all participants in the tax consultation process. As members will agree, effective consultation is essential to produce tax laws that are in the broader national interest. The Government's commitment to construct a framework for consultation stemmed from a recent recommendation of the Board of Taxation. We were pleased to have this Board of Taxation report and the Government's response publicly released at our Queensland Corporate Tax Retreat in September. While consultation has improved significantly in both quantity and quality over the last decade, it is encouraging to see the Government's attention and commitment to continuously improve the tax law design process. We look forward to further discussions in relation to the development of the ethical framework. limitations posed by legislation and professional requirementstax agents services legislationmicro practices and PSIPart IVA and restructuring praticesno goodwill restructures. LinkedIn is the largest professional network on the internet, with more than 175 million members in over 200 countries. The site offers valuable opportunities to build your professional profile and enhance your network, and allows you to connect with other professionals to exchange knowledge, ideas and opportunities. LinkedIn attracts decision-makers and helps you connect with them. It’s a place to generate new leads and stay up to date with the latest movements in your industry. Having a significant presence on the site can help you to position yourself as an expert in your field by sharing your expertise, as well as drive traffic to your business’ website. One of the most important jobs that The Tax Institute performs is to engage in consultation on tax and related matters primarily with government agencies — Ministers of governments, both state and Commonwealth, their oppositions, Treasury and the ATO, just to name the usual suspects. We engage because, while we are a body devoted to educating our members and the public on all things tax-related, that task is made easier if the legislation is simpler, efficient and fair. Moreover, it is the responsibility of everyone to ensure that our tax system is healthy and operates for the betterment of all Australians. The Tax Institute has a distinct advantage in carrying out its social responsibilities because, with its long history of engagement with professional tax advisers, it is able to harness a deep pool of talented advisers with an intimate knowledge of how the tax system presently operates and with the flair to understand how it should work into the future. The Commissioner of Taxation had a solid win in the High Court last week in the Qantas litigation. The airline unsuccessfully argued it was not liable to the Commissioner for the GST it collected on tickets sold to customers who forfeited their flights. As summarised by the High Court: "Flights were sold and bookings taken on the basis that Qantas would use its best endeavours to carry the passenger and baggage, having regard to the circumstances of the business operations of the airline. Consequently, even if the passenger did not actually travel, there was a taxable supply incurring GST liability and Qantas was liable to remit the GST received on fares for unclaimed flights to the Commissioner." 11 October — 51st Victorian State Convention, Lorne, Victoria17 October — 2012 National Resources Tax Conference, Perth, WA18 October — 2012 Tasmanian State Convention, Cradle Mountain, Tasmania25 October — 2012 Tax Specialists’ Workshop, Fingal, Victoria1 November — 2012 South Australian Tax Intensive, Barossa Valley, SA8 November — 20th National Tax Intensive Retreat, Noosa, Queensland. Due to popular demand, a selection of our highly topical estate planning and superannuation sessions will be held online as webinars throughout October and November 2012. 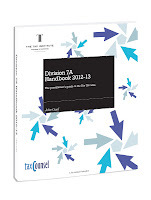 With the new edition of the Division 7A Handbook publishing in October, a timely article appeared in The Tax Institute’s journal, Taxation in Australia. Read on for a summary, and click any of the links below to view the full article. The Commissioner has recently issued several interpretative decisions and a final determination on aspects of Div 7A which need to be noted. Interpretative decision ID 2012/60 considers the situation where a private company makes a loan in an income year (the original loan) and, in the following income year (and before the relevant lodgment day), puts in place a written loan agreement which amounts to a new loan. It is concluded that Div 7A and, in particular, s 109D of the Income Tax Assessment Act 1936 (Cth) (ITAA36) applies to the original loan in the income year in which the original loan is made.